Powerhouse Corporate/Wedding Band featuring Guitar, Saxophone, Keyboards, Bass and Drums. Trusted by top event and wedding planners across North America, this band is made up of some of the best musicians anywhere! What sets us apart? Exceptional, experienced musical talent; professional service; genuine concern for our clients’ needs; and perfectly executed performances – at every event. The Jade Monkeys expands up to 10 musicians for larger events. FTB is always a crowd pleaser and their vast and versatile pop/classic rock song list makes sure everyone hears their favourite song. AC/DC-Ed Sheeran-Van Morrison-Bruno Mars-Def Leppard-Tom Petty-Green Day-The Killers-Bon Jovi-The Tragically Hip-Bryan Adams 3 piece with Guitar, Bass and Drums, or add a Keyboard for a spectacular 4-piece band. 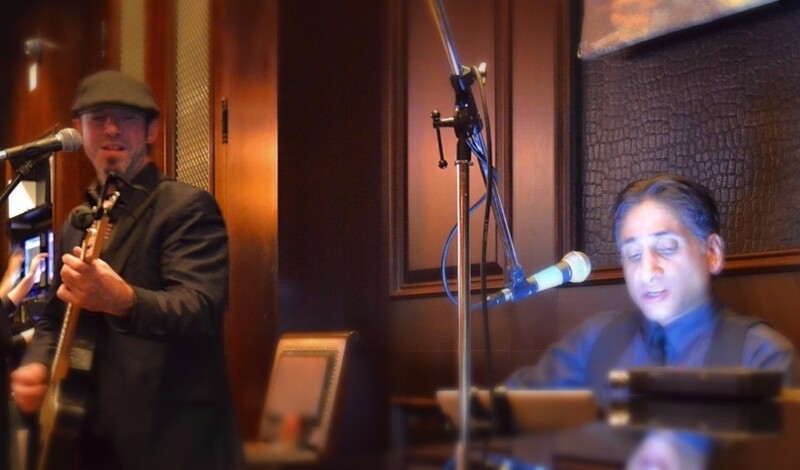 With a mixture of guitars, piano, sax and percussion, we provide acoustic duos for restaurants, hotels, golf courses, and other "unplugged" events. For places and spaces that require an acoustic approach, we have a vast number of performers who can provide professional entertainment. Whether purely instrumental or with vocals, these talented professionals can please the most discerning tastes and pair nicely with dinner or a hand-crafted cocktail. Clients include: Hy's Steakhouse & Bar, Rattlesnake Point Golf Course and many more! To create a perfect event, you may want to augment your performance with a single musician. A violinist to play a wedding processional, a cellist to provide background music. We have a list of exceptionally talented, classically trained performers who can elevate your event.